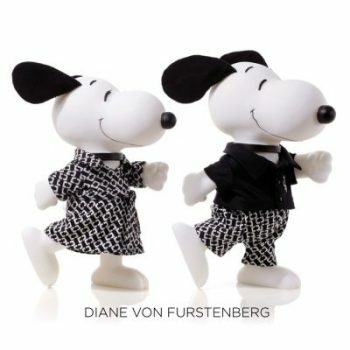 In an inspired reimagining of the “Snoopy in Fashion” event from 1984, “Snoopy & Belle in Fashion” is on a multi-city U.S. tour that will feature custom designs by well-known fashion icons from around the world. 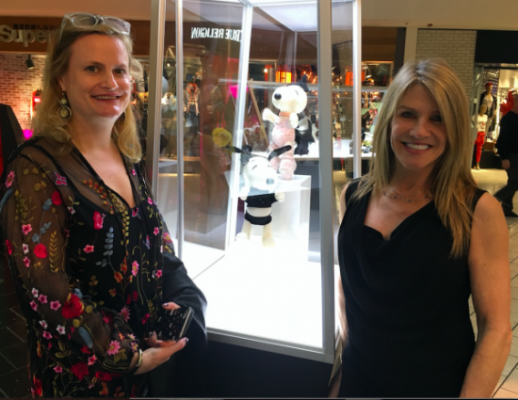 Jill Schulz, daughter of Peanuts creator Charles M. Schulz, was in Los Angeles on Valentine’s Day to debut a rare collection of mini-couture designs from the world’s most admired designers, and Tinseltown Mom was grateful to meet Schulz and get a personal guided tour. 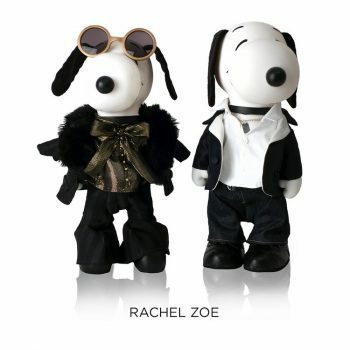 “Snoopy & Belle in Fashion” premiered to the industry at New York Fashion Week in September of 2014 and has traveled to Paris, Amsterdam, Tokyo, Mexico City, plus more. The Los Angeles debut represents the first time it will be open to the general public in America; it will then travel to Denver, Nashville, Sarasota, and Washington DC before making its final stop at New York Fashion Week in September. In addition to the original designers, Betsey Johnson and Diane Von Furstenberg, other leading fashionistas include: Calvin Klein Collection, Christian Siriano, Colleen Atwood, Danskin x Jenna Dewan Tatum, DKNY by Donna Karan, Isaac Mizrahi, Kenneth Cole, Rachel Zoe, Zac Posen, plus a host of others. Schulz and Menta offered cool background facts about the dolls and the exhibition. 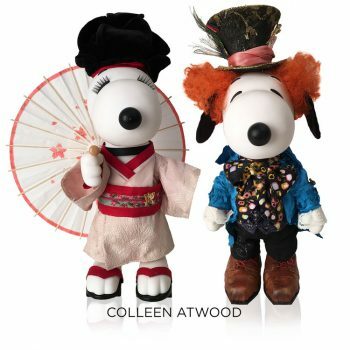 For example, Colleen Atwood fashioned Snoopy’s costume after Johnny Depp’s Mad Hatter character from Alice in Wonderland. She also transformed Belle into a Geisha girl from Memoirs of a Geisha and in both films Atwood won Oscars. “…that’s the original, the same cloth that Colleen Atwood used for the Johnny Depp costume… same with Memoirs of a Geisha,” Menta added. 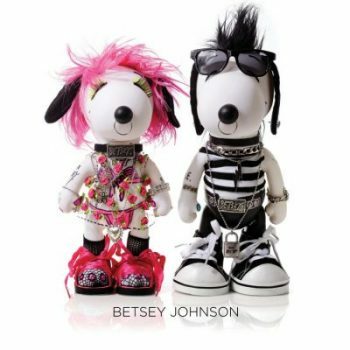 Diane Von Furstenberg created the world’s smallest version of her signature wrap dress just for Belle while Betsey Johnson went wild with tiny embellishments, including pink hair and nose rings, reminiscent of the designer’s own 80s punk rocker days. 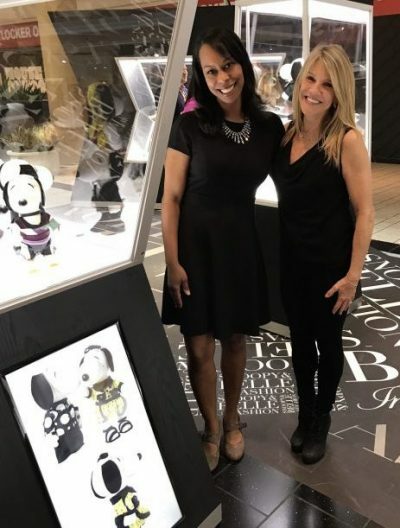 Jill, who is the youngest of Charles Schulz’s children, says that Peanuts has had a huge impact in her life, and now with having children of her own, a fourteen and 18-year-old, she recognizes the influence the Peanuts legacy has had on her kids.